Jacksonville, IL… A series of state audits reveal that Illinois taxpayers have spent nearly $400 million on taxpayer-funded health insurance for illegal immigrants. The newly-released audit of the Expanded ALL KIDS program shows that in Fiscal Year 2016, taxpayers spent $38.2 million on free health insurance for illegal immigrants. ALL KIDS program audits conducted by the Illinois Auditor General show that 62 percent of the enrollees and nearly 60 percent of the total cost comes from illegal immigrants. The cost to insure illegal immigrants totaled $396 million from FY09-FY16. “It is ridiculous that illegal immigrants can get free health insurance, while law-abiding citizens – who pay taxes – are forced to cover the costs of people breaking the law,” said Rep. C.D. Davidsmeyer (R-Jacksonville). Representative Davidsmeyer is sponsoring legislation that will stop illegal immigrants from collecting taxpayer-funded welfare benefits. “A helping hand is one thing, but a handout to those who are here illegally is not right. House Bill 4182 will ban illegal immigrants from receiving taxpayer-funded entitlements, including ALL KIDS,” said Davidsmeyer. The Covering ALL KIDS health insurance program was created by former Governor Rod Blagojevich and was set to expire in July 2016. However, the program was extended by the General Assembly in April 2016. 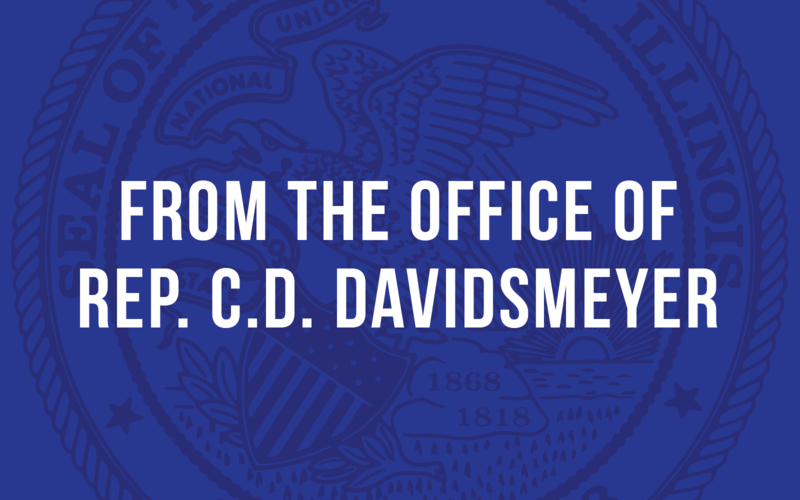 Rep. Davidsmeyer voted against the extension contained in House Bill 5736, which passed the Illinois House on a vote of 77-38-0 and became Public Act 99-518. Click here to read the Auditor General’s report.